As a rep in a past career, I offer my best tips for finding great representation. No matter where you are in the creative world — filmmaker, musician, artist, photographer, et cetera — the idea of representation is delicious. Imagine someone else doing all the parts you wish you didn't have to do! Great reps are looking for great talent that understand how this relationship works best to get success. 1. 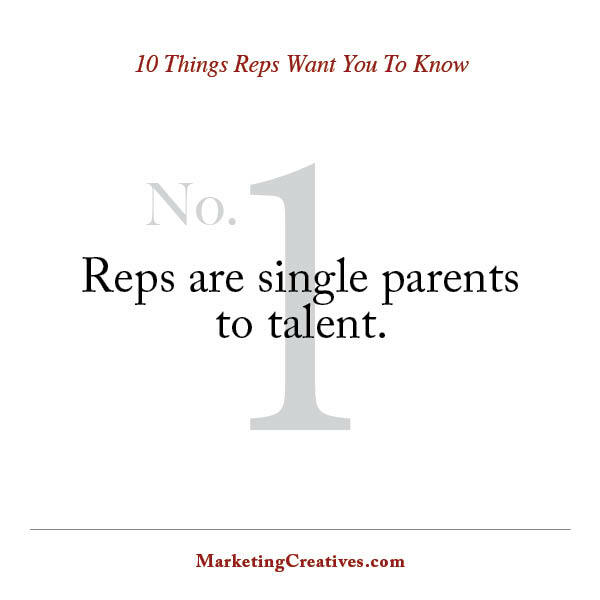 REPS ARE SINGLE PARENTS TO TALENT. Like single parents (to many, many children) they are already amazing. If you want one to "adopt" you, you need to become great talent. Your rep should not be overwhelmed just getting you outta bed and into the world. YOU need to set your own alarm, get yourself dressed, be ready for the day, eat a nutritious meal, get to work, do it well, get dinner and do more work, using all the tools (internet, mentors, tutors, consultants, etc.) Then your rep is free to SELL you and your work. 2. 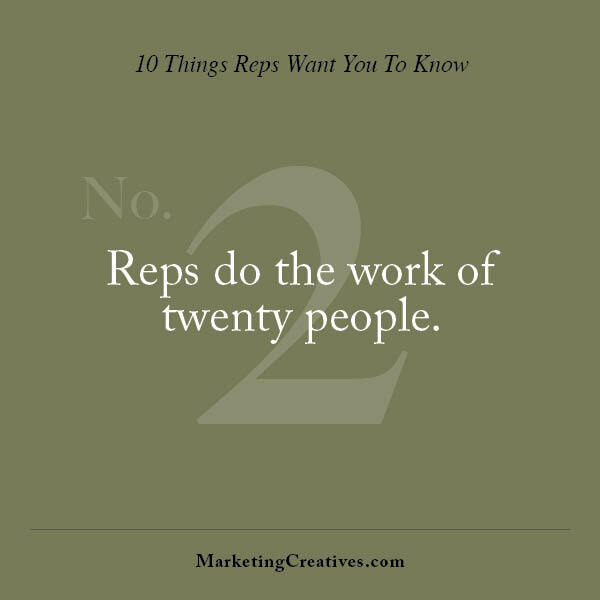 REPS DO THE WORK OF TWENTY PEOPLE. Reps do not just have one job. They have their own representative business, your business and the business of all the others in their stable. Like you, they wear a million hats and have to make quick decisions about where to put their passion and efforts. Do what you can to make their life easier, to make you easier to sell and they will learn to love you. 3. REPS SUCCEED WITH TALENT THAT KNOW HOW REPS SUCCEED. 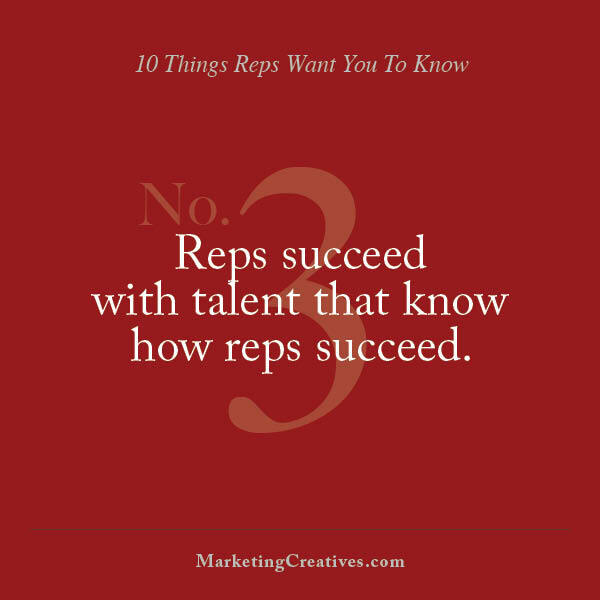 Reps want talent that recognizes the tremendous contribution they make to getting you work. They want talent that understands the work of marketing and selling. They want you fully marketed and automated so they can offer their expertise to direct the sell and get you work. Don't just cut them slack — learn to understand and support their efforts, be clear about what you want and limit what you need from them to benefit from their skills. 4. REPS WORK HARDER THAN YOU. 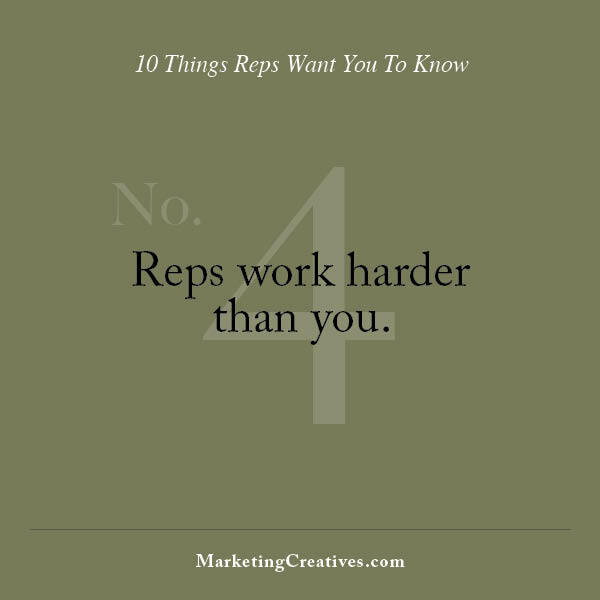 Reps expect you to know that they work as hard, or harder than you do. They work with many creatives, many vendors, have tons of deadlines for all these people and still have to be selling you. Their job is harder than yours. They deserve the money they charge and they work many more hours that are not seen. They choose to represent talent who know this. No one wants to work with people who make work harder. Reps expect you to match their effort. So thank them and keep up your part. Reps know stuff that you don't know. They will give you all the information you need if you ask for it. They know how many times they can connect with all the leads they want to hire you. They know what the general feeling in the industry is and how your specific markets are doing. They know how to bid. They understand usage. They know your market. If they don't, don't hire them. 6. 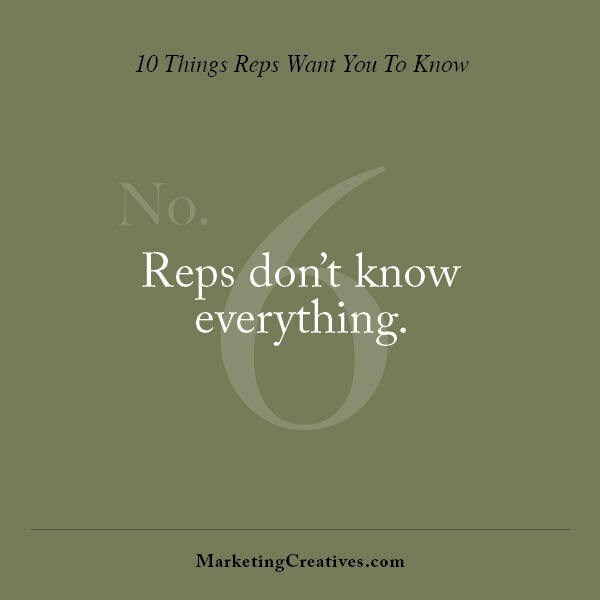 REPS DON'T KNOW EVERYTHING. Good reps love input from their creative talent. They want to know how your analytics are performing and what marketing you do to support your promotions. They might not know everyone who could buy you because the market is so fragmented and located in so many places. Your contributions on leads, market news and techniques that have succeeded contribute to stronger relationships and better outcomes. Great talent shares resources and enables reps to succeed more. Like each of us, reps are individuals and cannot be lumped together. You do yourself and them a favor by knowing what makes them special. They are humans doing a job that compliments the job you do. Make it a priority to understand their work and your responsibilities. Make an effort to know what makes them unique in this industry. 8. 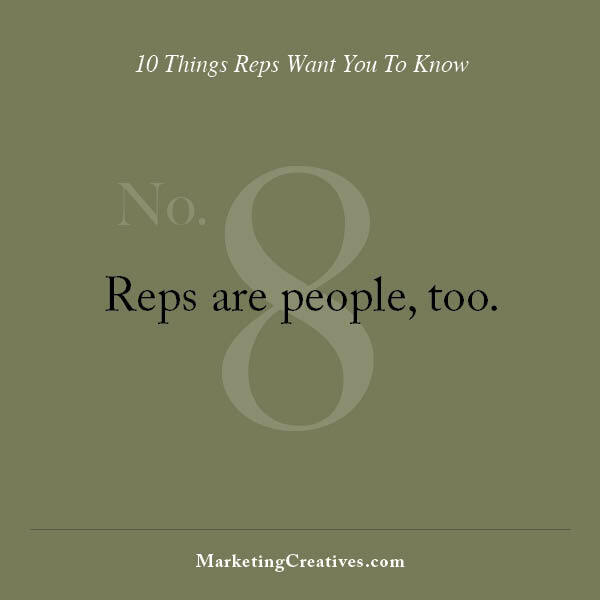 REPS ARE PEOPLE, TOO. They are human beings who need what we all need – good money for honest effort, opportunities for amazing talent to show, ability to support themselves, their families and their personal goals. They have good days and bad days. They, too, have all the areas of life pulling them and distracting them from the work of getting you work. Still, they get up, get dressed and do the work they promised they would do for you. They, like you, can always benefit by being thanked, helped and acknowledged. 9. REPS MARRY THEIR TALENT. Like marriage, it is not for those not serious about the relationship. It comes with passion, excitement about possibilities and hope. It demands a prenuptial, careful counsel and smart contracts. It is a business partnership and needs to be carefully considered. Should you fall in "business love," marry with confidence and endeavor to be an amazing partner. 10. THERE IS A REP FOR YOU. 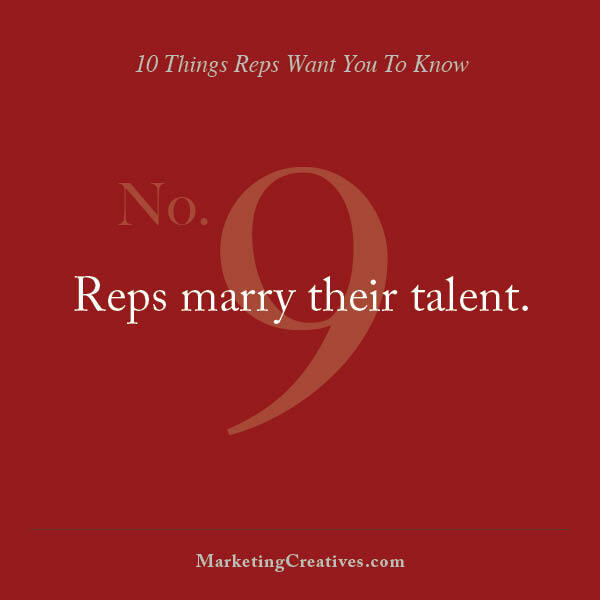 Reps know that great talent will find a rep who loves them, loves their work and sees a future working together. If they say no to you, for any reason, they're not telling you that you'll never be represented or even that they will never rep you. But, right now, it's just not the right fit. Keep looking, talking to and pursuing great representation. So what now … ? Talent — Marketing Creatives loves being your Millionaire Matchmaker — let's work on this together. 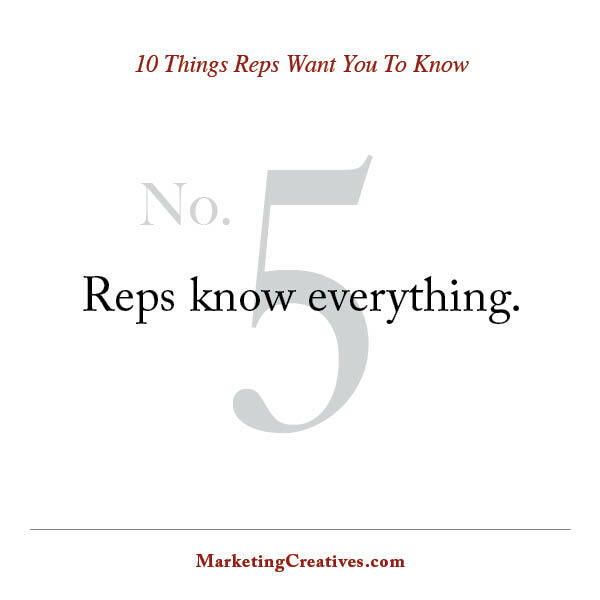 As a former rep myself, I know how to help position you so great reps want you. Reps — if your talent needs to make a real Custom One Year Plan and get their marketing "ducks in a row," call me. I work hard to make talent easy to sell.